Today is the day that I announce the Pumpkin Winner for this year's contest! Hip Hip Hooray. I am so thankful for everyone who sent me a picture of their creations. You guys are way too creative. Thank you. 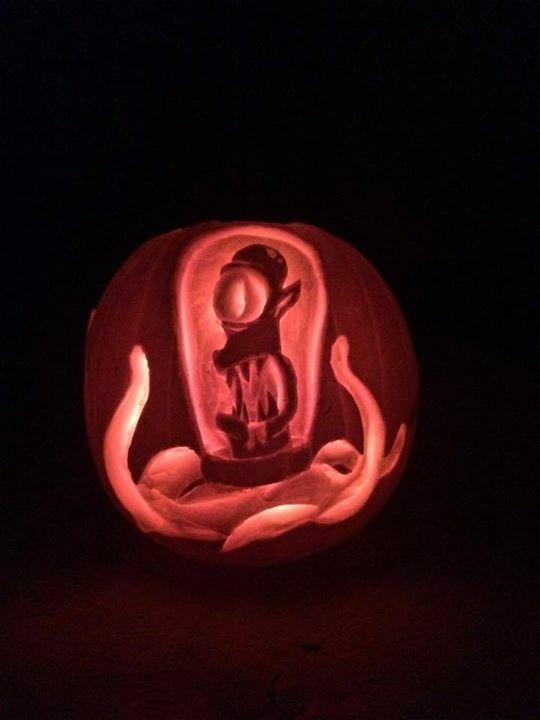 Without further ado, here is the Grand Prize Winner of the 2015 Pumpkin Contest! Congratulations, Michael! I have sent you a message and you win the prize! Visit Knotted Home's profile on Pinterest. all images & content are © 2011-2019 the knotted home. all rights reserved. you may not take images or content from this site without crediting the knotted home. All opinions & photography are my own unless credited by another source. I would like Knotted Home to be a encouraging & inspiring place for others, if you see another source that is not credited properly, please write me an email and I will gladly fix the link. Please do not steal another person's creation and proclaim it as your own; inspiration taken from artwork is acceptable, but copying the entire project is not. all images & content are © 2011-2019 the Knotted Home. All rights reserved. Simple theme. Powered by Blogger.